No Shave November is upon us, and while you might think that growing out your beard requires little to no effort, that’s not the case. 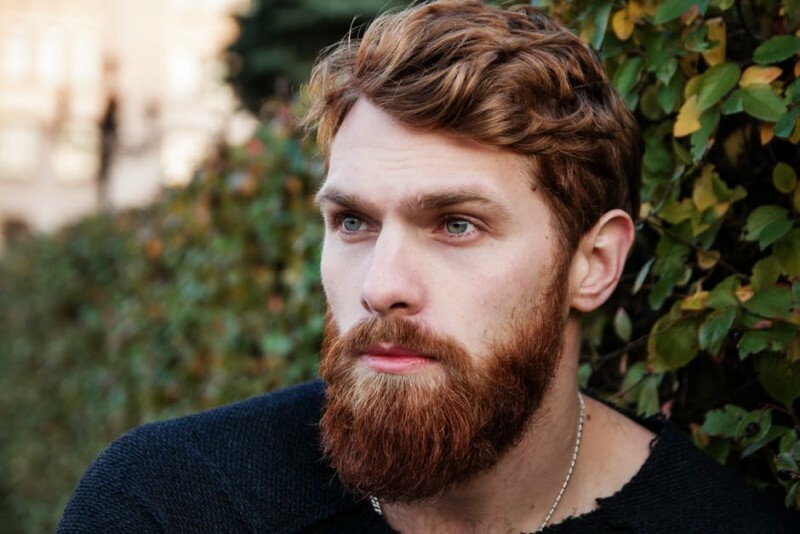 Growing out your facial hair requires almost the same—if not more—maintenance and upkeep than the hair on your head! Leaving your beard to grow out untamed for the month will leave you looking a little more caveman-esque than you may have planned… which is not a great look. Here’s our guide to ensure you and your beard stay dapper—not disastrous—all month long. This might seem a bit counterintuitive, but growing out your facial hair doesn’t mean regular trims go out the window. Getting trims and shape ups will actually help grow the hair, and also maintain a nice shape. Our Master Barber, Giuseppe, recommends getting beard trims every one-to-two weeks. “No Shave November” doesn’t say anything about no trimming, right? You condition the hair on your head so why not the hair on your face? Beard oil not only helps keep the hair soft and moisturized, but it also helps keep the skin underneath in great shape too. Plus, beard oil often contains essential oils like cedar wood, peppermint or eucalyptus, which leave your beard smelling great! These oils and natural moisturizers help promote healthy growth, which means less breakage, leading to a fuller, longer beard. It’s recommended that you apply a small amount every day. A good beard brush does wonders! They help keep your beard’s shape, allowing you to manipulate the direction of the hair. This helps fight frizz, distributes the natural oils within your facial hair and prevents unruly knots and tangles. Another added benefit of using a beard brush? It helps with itching! When your beard gets long, there can naturally be some itchiness, but you should fight the urge to scratch with your nails since they can damage the sensitive skin under the beard or transfer bacteria. Taking care of the skin under your beard is just as important as taking care of your facial hair. The skin under your beard is still skin, and needs to be treated that way! When your skin isn’t properly moisturized, it can cause your body to overcompensate by producing excess oils, which in turn lead to breakouts. A daily moisturizer with sun protectant will help keep your skin and beard healthy. Stop by our Albany barber location today to talk to our Master Barber, Giuseppe! He’ll help you prepare a plan for “No Shave November” which will keep you well-groomed during and after!